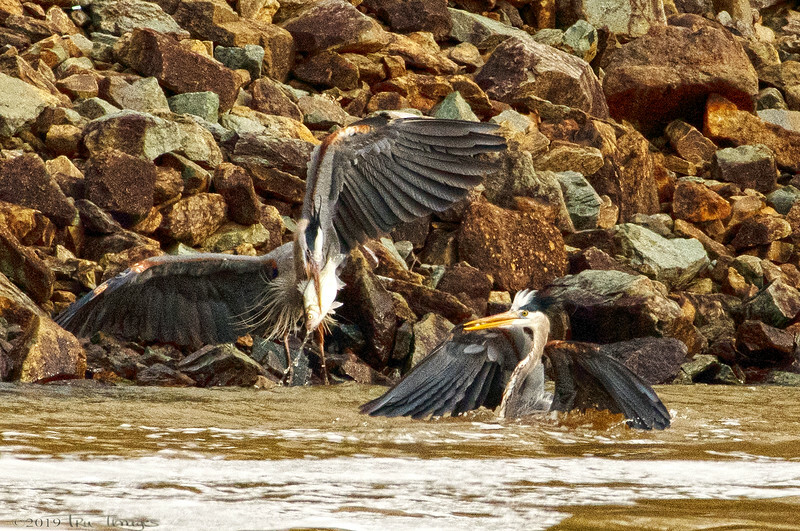 A couple of Great Blue Herons squabble over a fish! I am not sure how the winner planned to eat such mouthful though! There is enough to share! Super capture of the interaction and ACTION! A double threat to the fish -:)! Wow, what a shot! Right place, right time, right preparation for getting the shot. Awesome shot with good color tones.